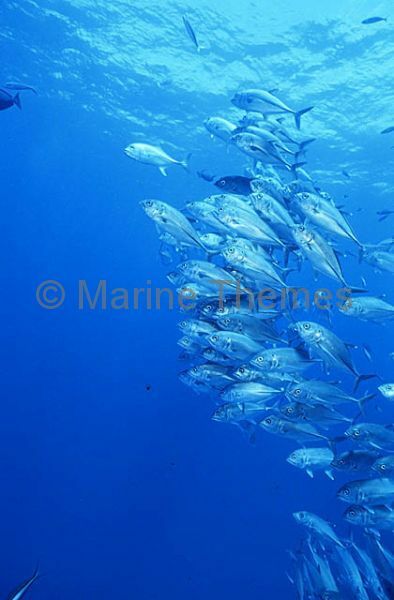 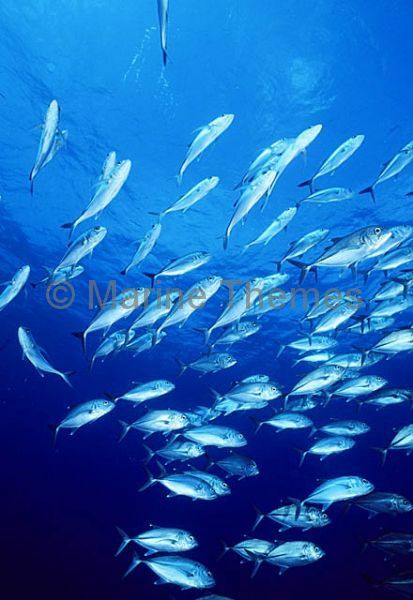 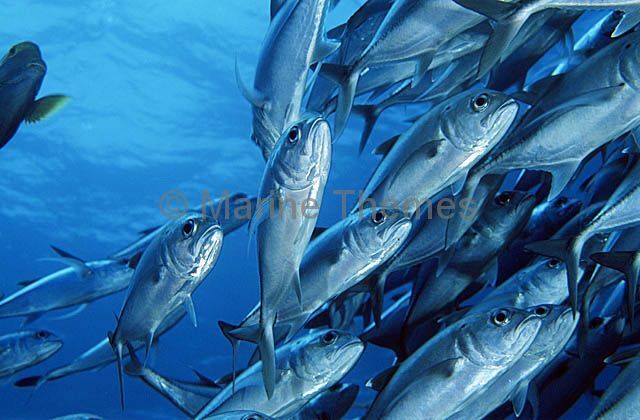 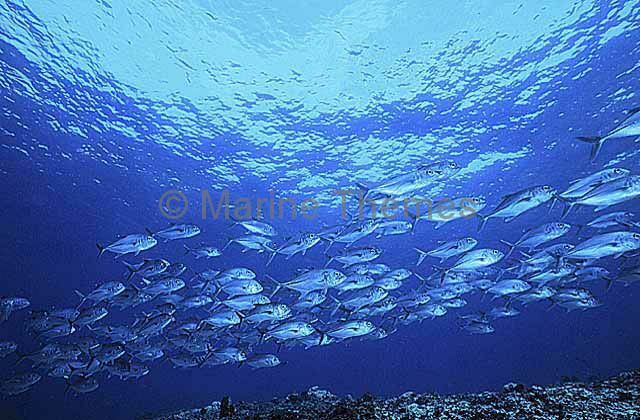 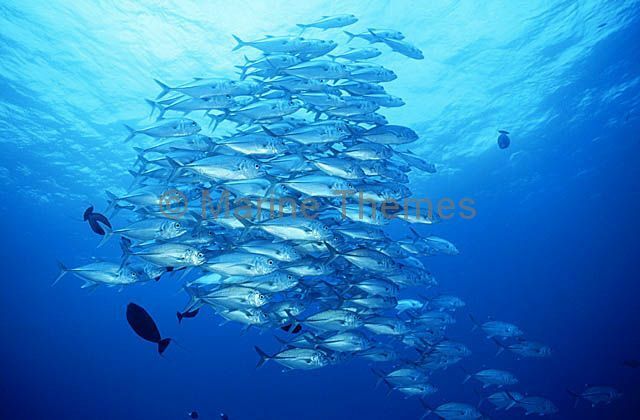 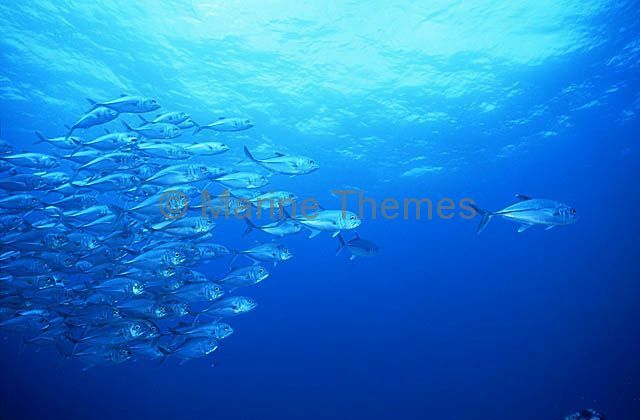 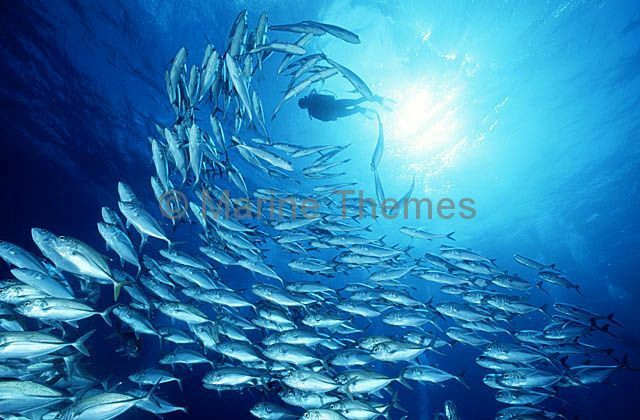 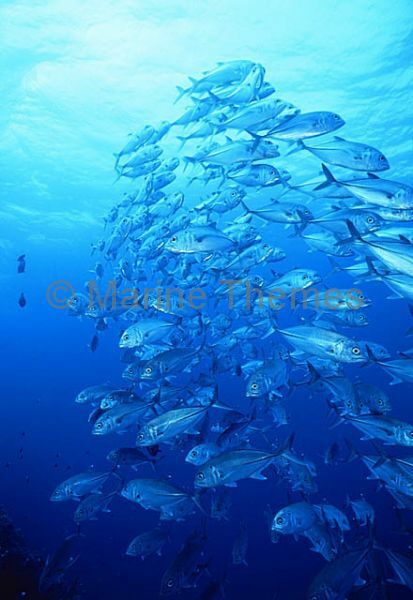 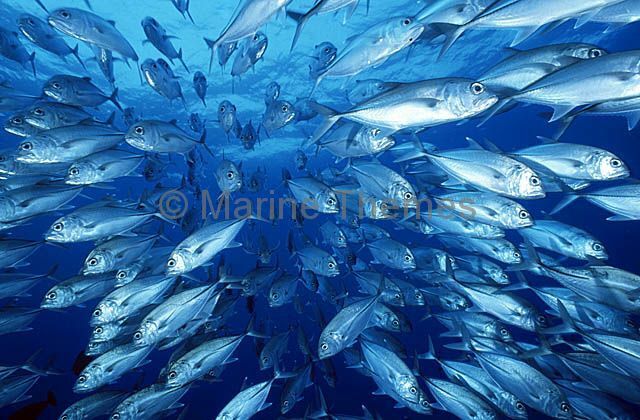 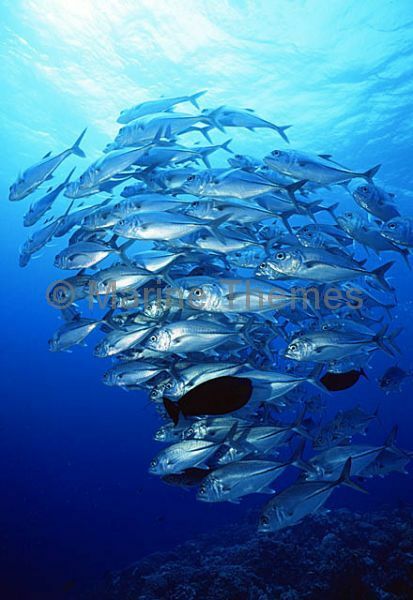 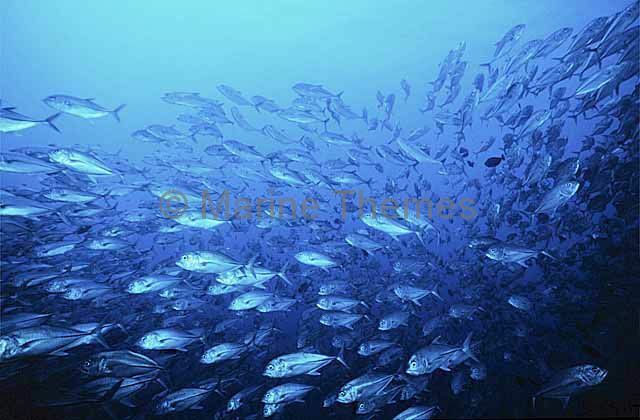 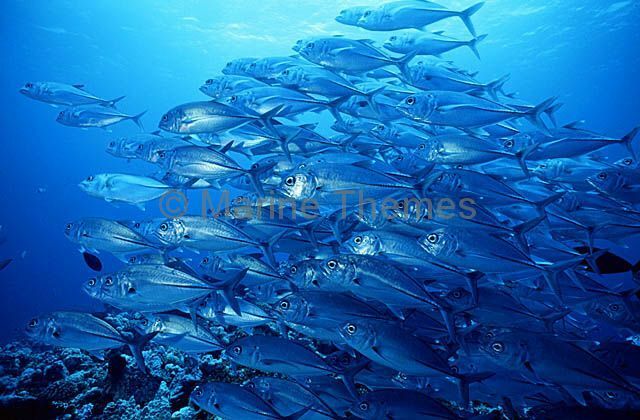 Bigeye Trevally (Caranx sexfasciatus) schooling. 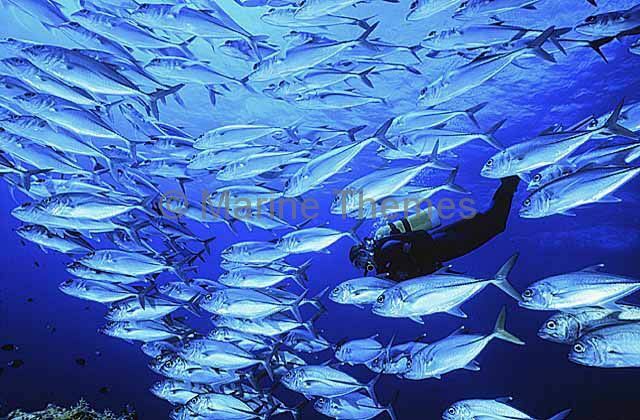 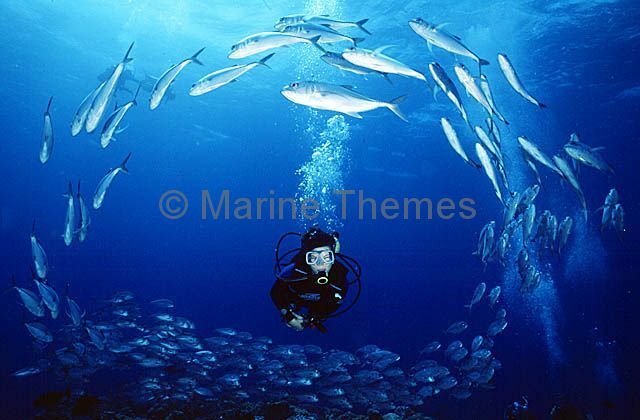 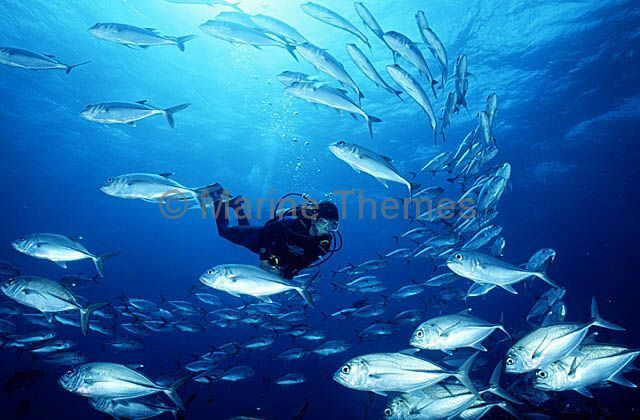 Bigeye Trevally (Caranx sexfasciatus) schooling with diver. 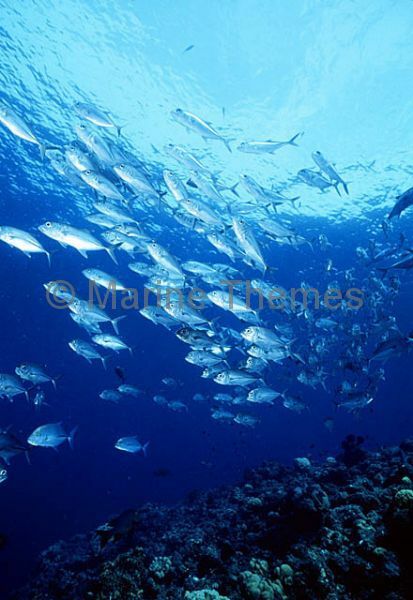 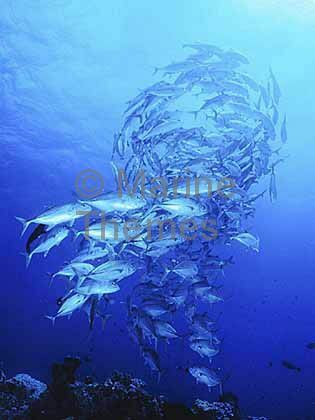 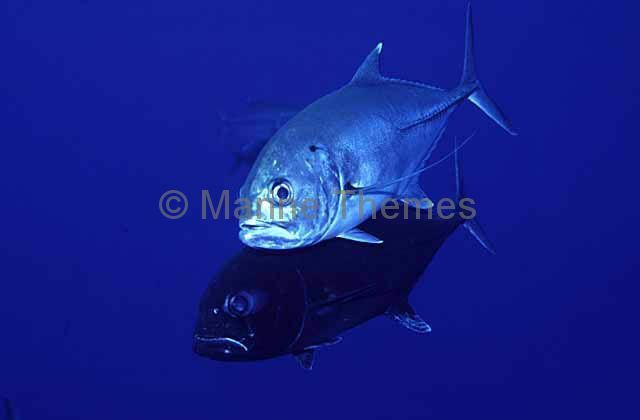 Bigeye Trevally (Caranx sexfasciatus) engaged in mating ritual. 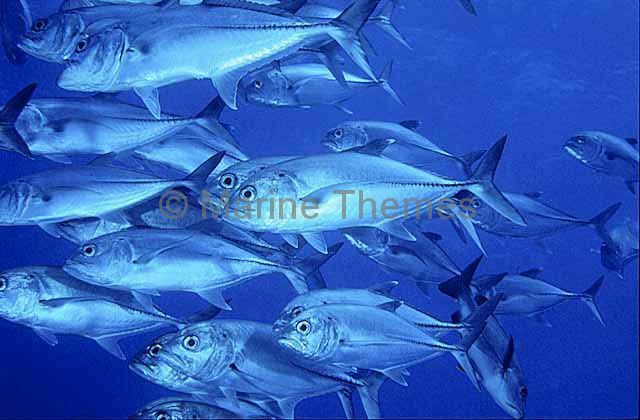 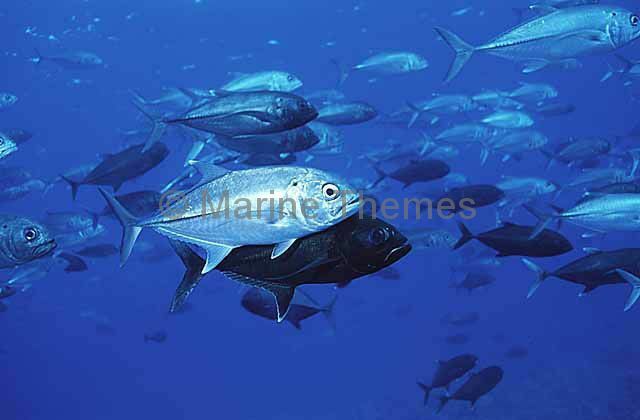 Bigeye Trevally (Caranx sexfasciatus) Male in dark mating colouration.